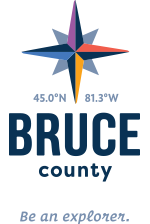 If you love gardens and gardening, there are acres upon acres of beautifully landscaped gardens to explore on the Bruce Peninsula. From formal gardens to cottage gardens to expansive greenhouses and nurseries, we have it all. Spend a relaxing day discovering our many private gardens that are ‘public’ for the season. The Bruce Peninsula is a place of amazing beauty and diversity, but it can also give gardeners some tough challenges. The owners are only too happy to chat about their love of gardening and plants and many of them offer their beautiful perennials for sale. If you visit a garden center, be sure to ask about the area’s native indigenous plants. Explore a hardscaping centre - the Bruce Peninsula is famous for its Wiarton limestone, used in gardens all over Ontario. After a morning of garden touring, stop for lunch at one of the many charming restaurants or cafes enroute. If an afternoon tour is in the cards, there are plenty of places to get a quick cup of tea or even a lake swim if you’ve packed your suit. Many garden enthusiasts before you have sent their families to either Sauble Beach or Oliphant, while they’ve snuck off to visit Earthbounds Garden ‘not-to-be-missed’ garden centre. You’ll quickly find yourself happily lost for hours amongst the thousands of blooming lilies and daylilies. When you finally come back from your garden reverie, you’ll discover a spectacular 2 ½ acre garden to tour on your own or with a guide. Uncover nifty garden features such as bicycles and old screen doors used in clever ways. Beautiful water gardens and an active butterfly garden will open your eyes to the possibilities that can be recreated in your own backyard. At the end of the tour you’ll be delighted to discover The Front Porch Café, where you can get a cool drink and a snack before you head back to the beach. If you’re near Lion’s Head, be sure to also drop by Peninsula Out of Doors Garden Centre & Landscaping Services. Explore their beautiful perennials, annuals, herbs and garden accessories. The Frog and Nightgown Gardens has beautiful gardens and has spectacular views over Hope Bay. Pack a picnic. This is where you can explore your inner zen. Relaxation, meditation and realizing a connection with the earth are a few of the discoveries to be made at Rural Rootz. Enjoy a stroll through the 4 gardens as you learn about ecology, sustainability and the preservation of nature. This 100-acre nature preserve protects many Bruce Trail ecologies and grounds preservation with holistic healing to help guests understand the connection between our spirit and the earth. Discover how the land itself is a powerful healer. Walk the woods to uncover how nature provides for not only the creatures and the plants, but for humans as well. Open Mother’s Day to Labour Day. Stop in at Solways Farm Market, Bakery, Greenhouses and Produce north of Wiarton, for plants and much, much more. The following is a list of private Peninsula gardens that are open to the public. Many of them rely on donations, so bring a couple of dollars to get in.